Where Can You Browse Through Different Brands of Slow Cookers? Bed Bath & Beyond, Amazon.com and Walmart offer multiple styles and types of slow cookers for purchase. Consumers can peruse various brands on these stores' websites. Brands available at Amazon.com include Crock-Pot, Hamilton Beach, West Bend and Cuisinart, all of which are also available at Walmart. Bed Bath & Beyond offers Calphalon and Frigidaire slow cookers in addition to many others. 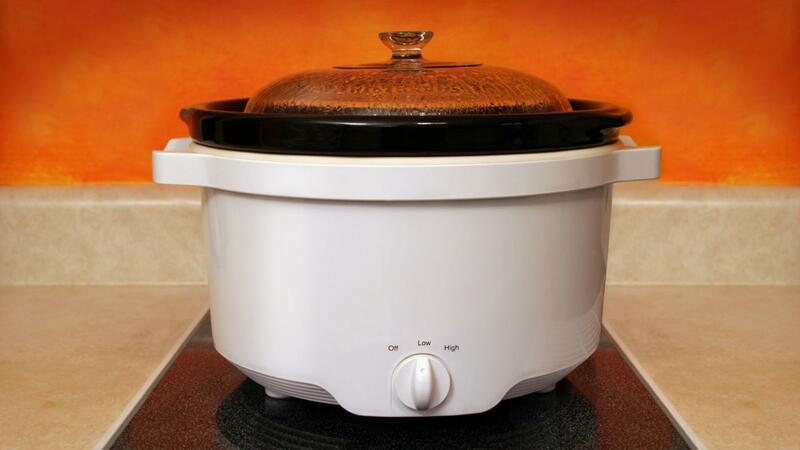 Consumers purchasing a slow cooker online from Walmart can often choose to have the appliance shipped free to the nearest Walmart store for pickup. Amazon Prime members are likely to find slow cookers available for expedited free shipping as well. Prices on slow cookers vary widely, but as Consumer Reports notes, price is not always predictive of performance. In testing, Consumer Reports found that there is often little difference in cooking performance among slow cookers. How satisfied a consumer is likely to be with a certain brand often depends on that consumer's particular culinary goals. An advantage of slow cookers is that they save time by simplifying the food preparation process.These appliances are particularly useful for preparing soups and stews. Moreover, slow cookers make sense economically because less expensive cuts of meat are often better suited to their cooking process. Where Can You Purchase a Tassimo Coffee Maker? Where Can You Purchase Zojirushi Bread Makers? Where Can a Nespresso Machine Be Purchased? Where Can You Purchase a Noodle Machine? Where Can You Purchase Hot Chocolate Makers? What Brands of Slow Cookers Does Kohl's Sell?